Expect are your usual bingo madness, raves, prizes with S club bangers performed live. 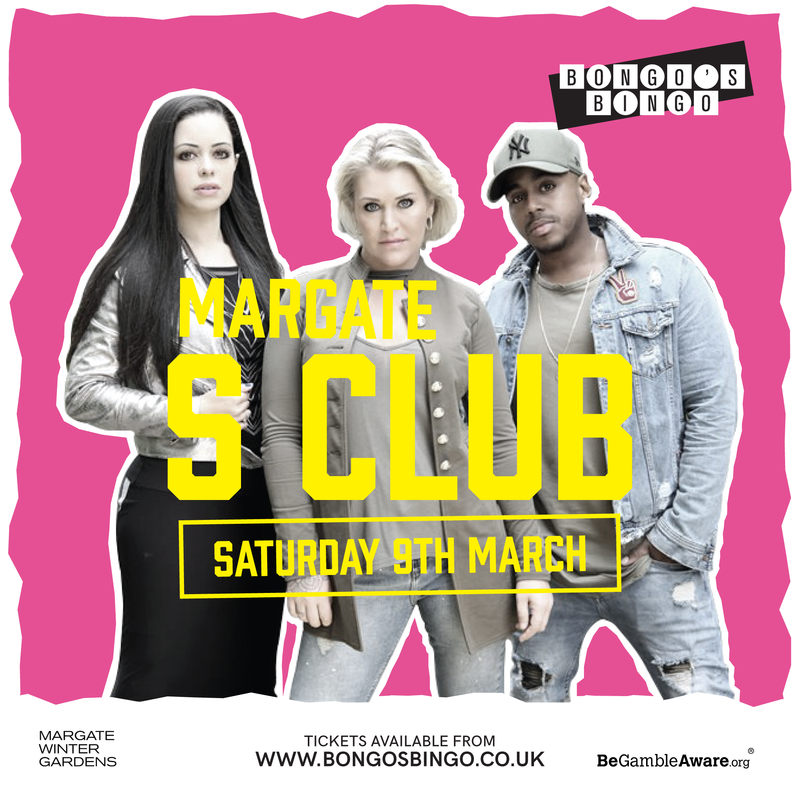 You must tick at least one box for ticket type "EARLY BIRD / BONGO'S BINGO MARGATE WITH SPECIAL GUESTS S CLUB: 09/03/19" to proceed to checkout. We strongly recommend ordering both the 'Event Ticket' and 'Gambling Stake' to get the full event experience. You must tick at least one box for ticket type "GENERAL RELEASE / BONGO'S BINGO MARGATE WITH SPECIAL GUESTS S CLUB: 09/03/19" to proceed to checkout. We strongly recommend ordering both the 'Event Ticket' and 'Gambling Stake' to get the full event experience. You must tick at least one box for ticket type "FINAL RELEASE / BONGO'S BINGO MARGATE WITH SPECIAL GUESTS S CLUB: 09/03/19" to proceed to checkout. We strongly recommend ordering both the 'Event Ticket' and 'Gambling Stake' to get the full event experience.